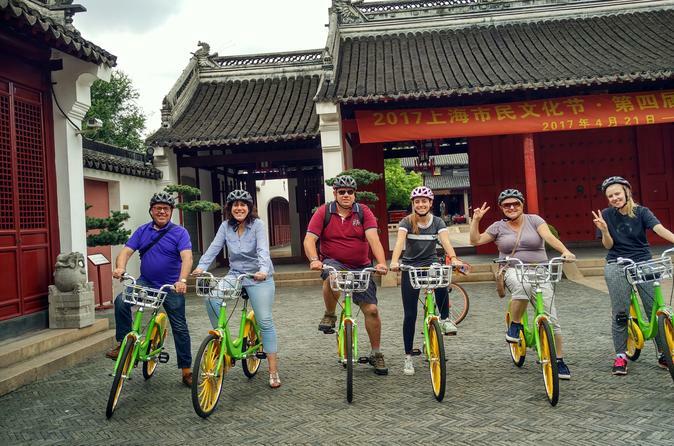 Get acquainted with old Shanghai on this private, 3-hour bike tour. Along your way, see 100-year-old homes, one of the last remaining pieces of the ancient Shanghai City Wall, and a 500-year-old structure from the Ming Dynasty. Travel through Shanghai Bird and Insect Market and down Shouning Road, where local food vendors setup for the day. Other highlights include a tea ceremony at Confucius Temple and a possible stop inside a local home for a brief tour.